Anyone have any luck growing manzano or rocoto in Florida. I have a manzano that I grew from seed back in March and it has yet to produce a pod. It would flower and I would teased by a tiny pod and then it would drop. I moved the plant around from direct sun to full shade and still nothing. It's a pretty good size plant but it's very sparse in the leaf department. I also started a couple of rocoto back a couple of months ago and they're looking a little better than the manzano. I still have not seen a flower on them yet. I wonder if they'll follow the same fate as the manzano. Any ideas or feedbacks? I have not had any luck growing either here. Way to damn hot and humid for them IMHO. Maybe you will get some pods in December. I have both yellow manzano and Red Rocoto growing and they finally put peppers last month. first they are very slow to put out flowers. Most posts on the net claim they barely put out fruit the first year. I started mine last october and they did fine with our winter in Orlando. I would suggest you keep them growing during out winter and next spring my guess is they will kick out some great peppers. They are very hard to describe as a pepper. Very amazing taste. They make the best salsa in my opinion and i love my Annum peppers. Very juicy. I like the yelllow manzano a bit more over the red rocoto. From my experience our winter does nothing to this plant, but that is based on only 1 year experience lol. I can not help about growing in Florida, but I grew 2 M. Rojos and 2 M. Amarillos this year. I am by the beach in San Diego and they were by far my fastest growing pepper. They grew like weeds in the cool (60s) spring weather. The plants were all burdened with heavy loads. All the branches needed support.1st year plants. Normal, I think. The summer heat (about 78-82) hit in Auust and they slowed down some. They are now in there 2nd wave of fruit and growing new branches everywhere. They just like cool, cloudy weather. That is my guess. Edited by pepperproblem, 10 October 2012 - 10:48 AM. I Spare a Few and Help Many. I've got a Red Rocoto and an Orange Manzano growing here in South Carolina. The seeds were planted in February. They started flowering in the heat of summer but never set pods. Now that it has cooled down, they're growing and flowering well, and I've got a 1-inch diameter pod on the Rocoto. I was expecting this and plan to overwinter them to try to get fruit next spring. I'd be interested in hearing about other growers' experiences in SC or GA. Thanks guys. I figure the heat and humidity was a huge factor. I guess I'll just have to be patient and see what happens. Arijer - Our Tarpon season on the west coast is May-July. It was a decent season! I leadered about 2 fish with over a dozen jumped with the fly rod. Keep in mind, I'm doing this out of a kayak just to keep things entertaining. I have it on my list for next year to go over to the East Coast during the mullet run for tarpon. 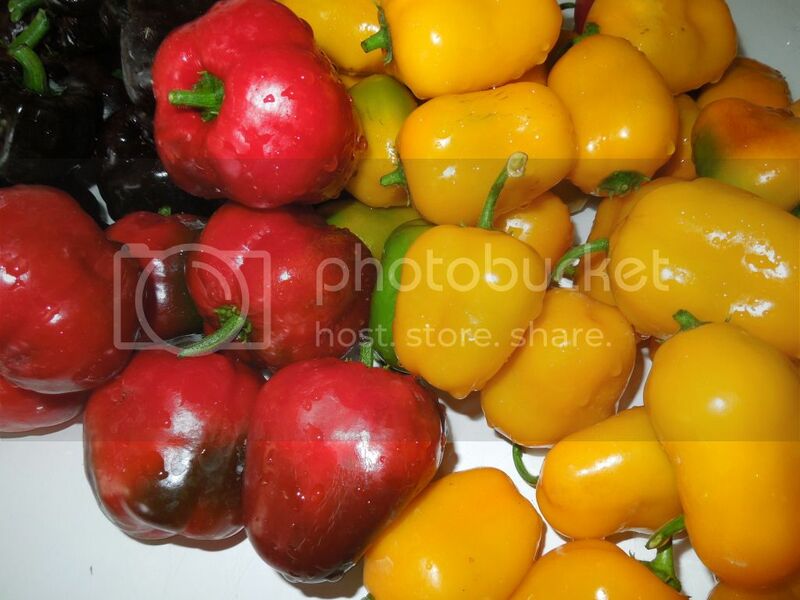 Pineapple Rocoto "PL" (Capsicum pubescens) pod test! !